Sinn Féin President Gerry Adams TD reflects on the 20th anniversary of the historic IRA cessation. Sinn Féin Leader Gerry Adams TD, writing in today's Guardian newspaper, has said that the British government has made no effort on outstanding issues from the Good Friday and other agreements. Martin McGuinness' major speech on the 20th anniversary of IRA cessation. No alternative to dialogue and agreement, says McGuinness in major speech on the 20th anniversary of IRA cessation. Watch the video of Martin McGuinness' speech here. 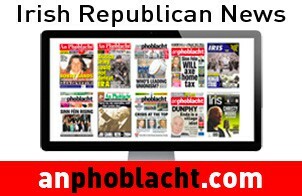 Peace Process timeline provided by An Phoblacht.